Lloyd Cole is no stranger to Australian shores, from his time as front-man for The Commotions and their stadium tour of 1986, through to his Small Ensemble tour of 2011 and the many solo tours he has performed in between, Lloyd has proved a very welcome visitor regularly selling out shows right around the country. 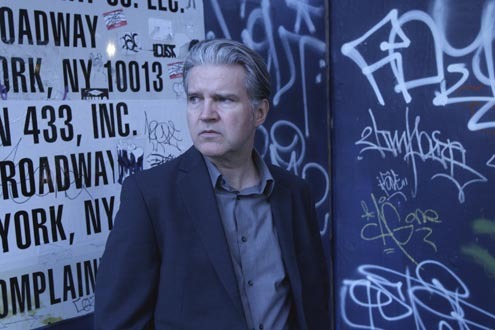 In 2014 Lloyd Cole returns for his most extensive Australian tour yet taking in all the major cities plus a host of regional centres too – Meeniyan, Castlemaine, Launceston, Lismore and the Gold Coast among them. Arguably the best album Lloyd has made since his debut 30 years ago with The Commotions, Standards is also his most rocking’ and features musical contributions from Matthew Sweet, ex-Lou Reed sideman Fred Maher, former Commotion Blair Cowan, Joan as Police Woman and Lloyds’ son Will. It will be released locally via The Planet Company on May 9th. For the 2104 Australian tour Lloyd Cole will perform works from Standards plus material from right across his catalogue: solo, and in intimate mode and playing for upwards of 90 minutes each night. In addition Lloyd Cole will appear ‘In Conversation’ for shows at the University Of Adelaide and MONA in Hobart. Check with the respective venues for full details. Tickets for all shows are on-sale Monday March 3rd. In Person: 30-32 Hargreaves St. Castlemaine.